Denton’s research lab is investigating an antioxidant-like compound that could repair and activate the brain’s natural house-cleaning function, which is dysfunctional in patients with neurological disorders. 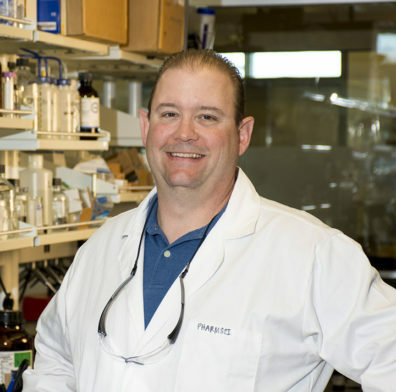 Denton’s research collaborator is Kenneth Hensley, Ph.D., at the Arkansas College of Osteopathic Medicine, who uncovered a new compound to activate the brain’s house-cleaning function. Denton’s lab is investigating the chemical particulars of the compound, and new derivatives of the compound prepared in Denton’s lab, in order to further understand them. They are making sure the new molecules have the ability to enter the brain, whether it soaks up free radicals that cause trouble, how effective the new molecules are as drugs and a host of other answers to many additional questions. Denton is also using the project to expose undergraduates from other Spokane universities to the research lab environment in a doctoral degree program at an R1 research university. The undergraduates can receive course credits at their own universities for time spent with Denton. The project is funded by the National Institutes of Neurological Disorders and Stroke, a division of the National Institutes of Health. The NIH provides consumers with more information on antioxidants. Read more about Denton’s project.